Designed to inspire and grow the imaginations of young children, Lil’ Pete’s Playland at Shepherd of the Hills features a variety of hands-on, kid-sized activities. 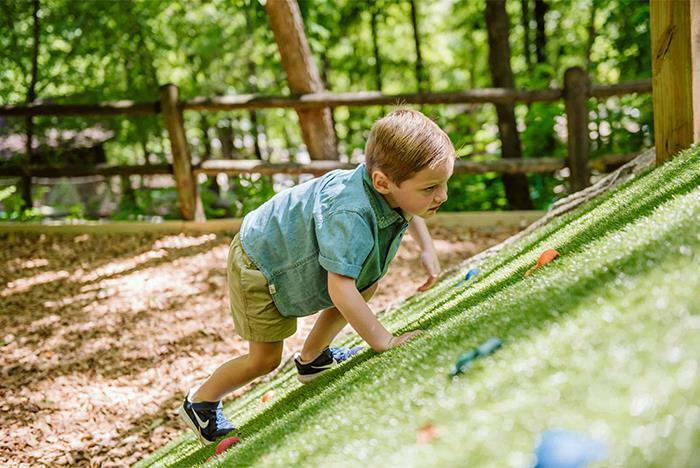 Participate in a timed American Ninja Warrior course, walk through the petting zoo, or make a hole in one at the custom putt-putt course. 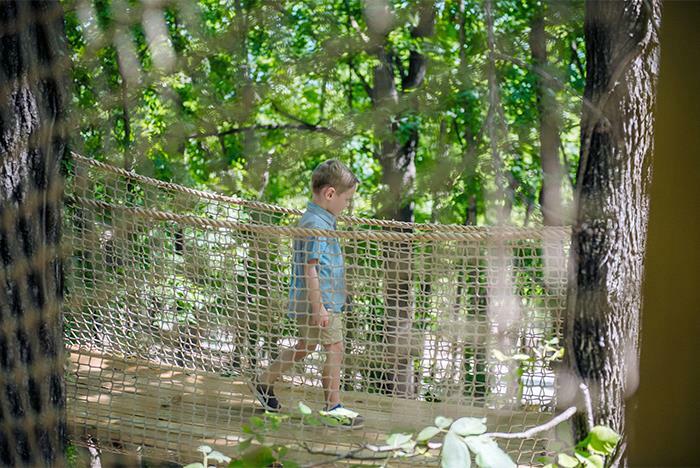 Don’t miss the rope-bridge linked treehouses, either. Come ready to play all day! 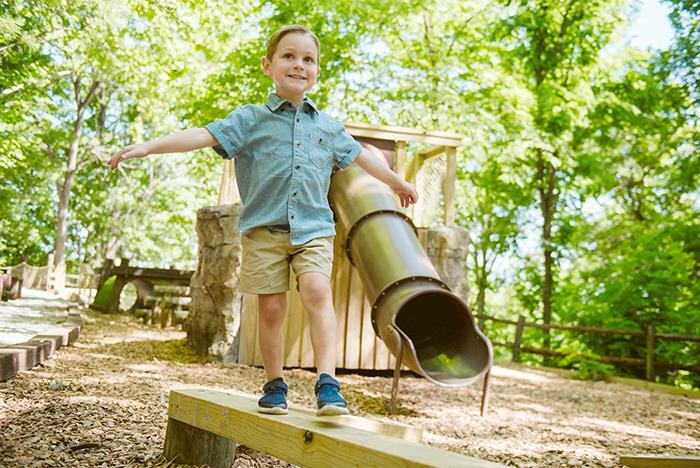 Lil Pete’s Playland at The Shepherd of the Hills is sure to cultivate your young one’s imagination and get them good and tuckered out. 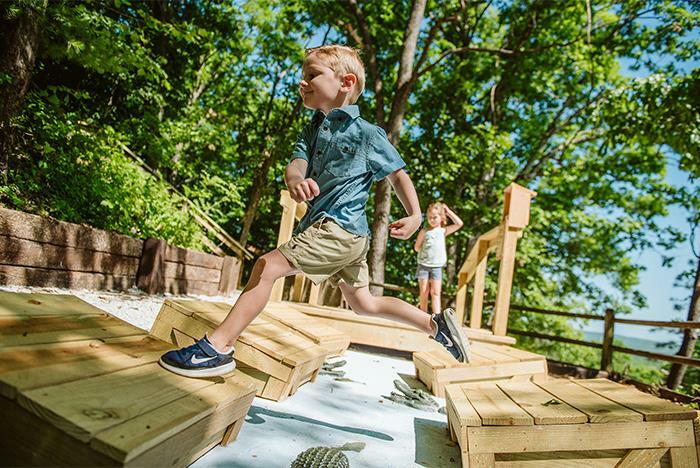 This kid-centered zone is comprised of an obstacle course, rope-bridge linked treehouses, custom putt-putt course, petting zoo, gem sifting and more. Open from 10:00 am-6:00 pm daily. Lil’ Pete’s Playland is open from 10:00 am – 6:00 pm on non-show days and closes at 8:00 pm on show days. What activities are included with admission? 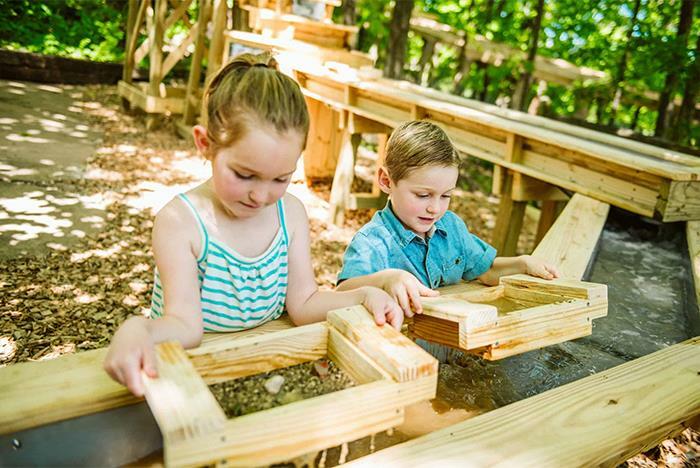 Admission includes mini-golf, obstacle course, play barn, treehouses, petting zoo, mining trough, and more. Wear closed toed shoes and comfortable attire capable of moving around in. Yes. Ample parking is offered close to the entrance.